Mt. Gox has recently come under fire by the bitcoin community for its inability to give a coherent response concerning their decision to suspend withdrawals. Initially, they claimed that it was a technical problem without giving much explanation and this was a cause of great worry and frustration for the bitcoin community. Right fully so, one would conclude. Eventually, they released statements claiming that the problem was not with Mt. Gox but rather there was a problem in the bitcoin protocol. 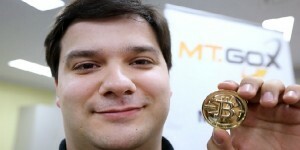 Mark Karpeles, chief executive of Mt. Gox, did an email interview with Forbes in which he responded to the criticism his exchange market has been receiving. He mentioned that the technical problem that Mt. Gox faced should have been solved by the Bitcoin Foundation. 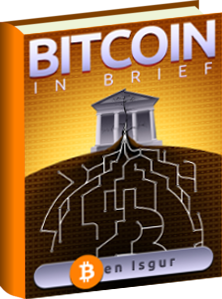 The Foundation works to solve any issues that might arise in the bitcoin network. According to Karpeles, the technical issue known as transaction malleability has been known since 2012 and should have been solved by the Foundation. The irony of the matter is that Mt. Gox has been the one to have these issues occur with their bitcoin exchange. The other major exchanges are doing fine. The question that one might ask or should ask is that, is this just another way for Mt. Gox to avoid taking the blame for where they went wrong. There have been updates to the system but it seems that Mt. Gox failed to update their system in time. Karpeles stated that he feels remorse over having upset many people of the bitcoin community. At the same time, he said that because the issue has been brought to light, now other bitcoin exchanges have become aware of it. Furthermore, now all the exchanges are reviewing and strengthening their networks. This has given the bitcoin community as a whole to further develop the bitcoin network and move forward with a better system in action.